Dianne Reeves won a Grammy for her album Beautiful Life. You won't understand a single word on "Tango," even though it is one of most luminous pieces on the album. You're not supposed to. 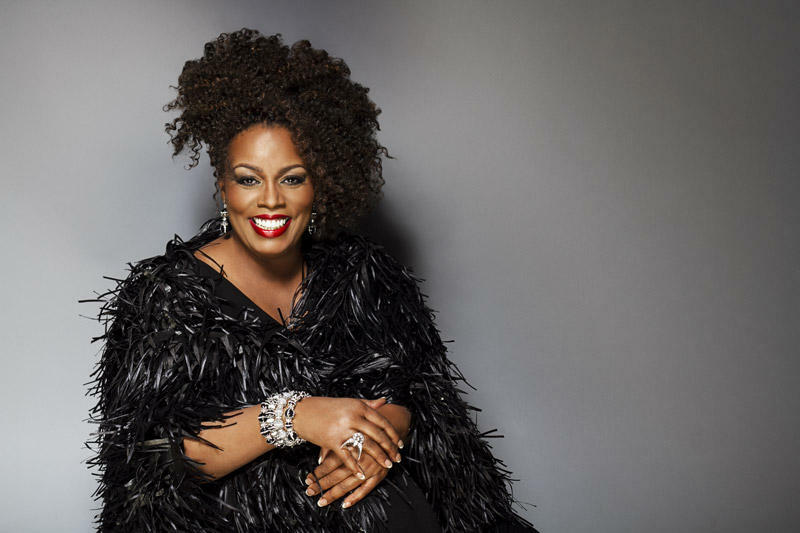 Just one week after winning a Grammy Award for Best Jazz Vocal Album, the dynamic diva Dianne Reeves will be even more electrifying than ever as she presents a celebratory victory performance at 7:30 pm on Sunday, February 15, at Hartford’s Infinity Music Hall. Reeves, 58, received the fifth Grammy of her career for her album Beautiful Life on Concord Records. Her triumphant release edged out stiff competition from albums by singers Tierney Sutton, Gretchen Parlato, Rene Marie, and composer/arranger Billy Childs’ eclectic compendium of vocalists paying homage to Laura Nyro. All the jubilant Grammy Award winner has to do to bring down the house in Hartford on Sunday night is launch into the passionate, a cappella opening bars of her wordless tour de force on an original song called "Tango," a mesmerizing power number that helped propel Beautiful Life to beautiful victory. You won’t understand a single word the splendid singer sings on "Tango," even though it is one of most luminous pieces on the album. Don’t worry about it. You’re not supposed to. Besides, they’re not even real words. Reeves’s free-flowing, invented-on-the-spot wordless invention on "Tango" is all about sonic painting, not words as we know them. It’s an invigorating torrent of liquid sound, a marvelous mix of surreal syllables crackling with soaring, eerily beautiful phrases. Instead of nouns and verbs and the other standard parts of speech in the English language, Reeves immerses the listener in an extemporaneous expression of emotion. The song is a portrait of Reeves’s voice as a mighty musical instrument, resonating with a resilient range and Gold Medal-winning gymnastic ability. "It’s funny when I improvise like that on 'Tango,'" Reeves said by phone a week before winning her latest Grammy. "People come up to me after the performance and ask, 'What language was that? It was so beautiful.'" Reeves said the song is a celebration of great, non-English-speaking singers she loves so much even though she has no idea what they're saying in their lyrics: performers like Miriam Makeba, Celia Cruz, Elis Regina, Angelique Kidjo, and Cesaria Evora. Beautiful Life is itself a form of communication aimed at bridging the generation gap. A large-scale collaboration, it unites Reeves, who is clearly one of today’s finest jazz singers, with an all-star cast of young, contemporary performers from a variety of genres, and with a wide range of pop tastes. Among the many luminaries who assisted in the genre-crossing pieces are bassist/singer Esperanza Spalding, vocalists Gregory Porter, Nadia Washington, and Lalah Hathaway (soul-singing daughter of the late Donny Hathaway); the Dutch saxophonist Tineke Postma, and pianists Robert Glasper, Gerald Clayton, Peter Martin, and Reeves’s cousin, the late great keyboardist/composer/producer George Duke. Even as the demanding recording project was underway, Duke was ill but contributed nonetheless, always happy to collaborate with his cousin. Their collaborations go back to Reeves’s early breakthrough days when she was creating remarkable albums at the venerable jazz label, Blue Note Records. With the drummer/composer Terri Lyne Carrington as the album’s producer, Beautiful Life features an eclectic range of covers for such classics as Bob Marley’s "Waiting in Vain," Fleetwood Mac’s "Dreams," and Ani Difranco’s "32 Flavors." Along with fresh interpretations of these standbys, the album features both old and new originals by Reeves, Carrington, and Geri Allen; plus one American Songbook standard, Harold Arlen and Ted Koehler’s "Stormy Weather," along, of course with the stunning performance of "Tango." The most moving of the dozen pieces, however, is the grand finale, Reeves’ tribute to her late mother in an original composition called "Long Road Ahead." Typical of the deep bench strength for the album’s supporting cast, the track features the Swiss-born harmonica player Gregoire Maret. No one should be surprised by the ecumenical selections and the variety of contemporary flavors that season Beautiful Life since Reeves, while a master of the art of the jazz vocal, has always been a versatile singer with an all-encompassing taste. Variety abounds in her resume from day one. Long before she was anointed as the apostolic successor to Sarah Vaughan and torchbearer for the imperiled classical jazz vocal tradition, Reeves had performed with the Latin rock group Caldera and toured with the Brazilian music master Sergio Mendes. Later, she starred from 1983 to 1986 as a lead singer for Harry Belafonte. Not only was she influenced by Belafonte’s warm, universal embrace of folk music from around the world, but also by the singer/entertainer’s sharp social consciousness. “Harry Belafonte gave me the music of the people. He gave me the music of the people’s struggle from all over the world. He just turned-up my consciousness in an extraordinary way,” Reeves said of one of her key mentors. Other invaluable guides and gurus included Mendes and, early on, the legendary trumpeter Clark Terry, one of the jazz world’s greatest, most empathetic teachers. Even earlier on, there was Reeves’ renowned uncle, the classically trained, jazz-loving double bassist Charles Burrell, who many decades ago helped break down the color barrier in the once lily-white symphonic world. Uncle Charles introduced his young, gifted niece to the world of jazz recordings, getting her happily hooked on Sarah, Ella and Billie Holiday as well as great instrumentalists. Never intimidated by the imaginary walls that separate genres into dogmatically pure categories, Reeves has recorded with the Chicago Symphony Orchestra conducted by Daniel Barenboim, and been a featured and quite unrattled soloist with Sir Simon Rattle and the Berlin Philharmonic. All genre matchups work for this ecumenical singer who, more than anything else, loves collaborations. And it doesn’t matter to her whether she’s singing the truth with the brilliant, Benin-born vocalist/activist Angelique Kidjo or with the angelic opera diva Renee Fleming. For her concert at Infinity Hall’s new, ultra-modern digs in downtown Hartford, Reeves will tap into some material from Beautiful Life. But she said she’ll also be celebrating the centennial of Billie Holiday’s birth by reprising material from the classic jazz era of the 1930s and '40s, songs Lady Day was singing right up until her death in 1959 at age 44. Reeves’s accompanists -- or what she prefers to call her fellow collaborators or co-creators -- are pianist Peter Martin, her longtime music director and arranger; guitarist Peter Sprague, bassist Reginald Veal, and drummer Terreon Gully. Aside from going where the spirit of spontaneity leads her and her co-creators, one of the globe-trotting singer’s main goals, wherever she performs in the world, is to connect with her audience, to make all her listeners feel that they’re participating in the music. 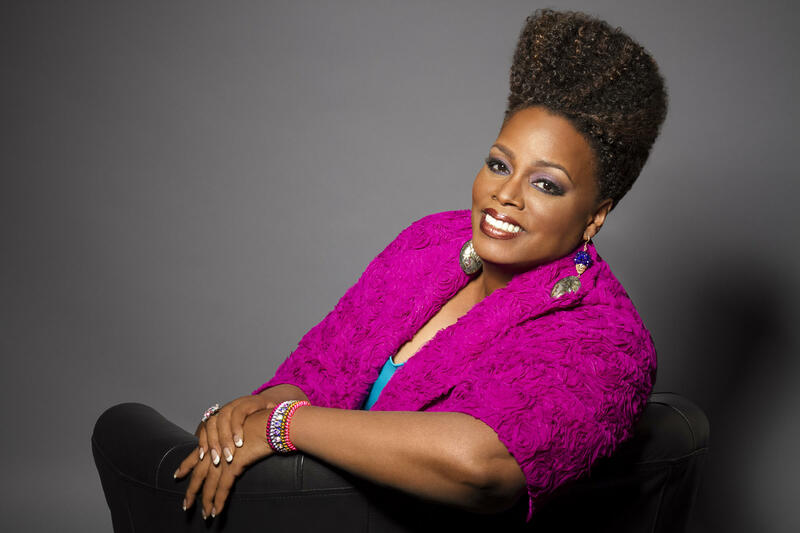 Dianne Reeves performs at 7:30 pm on Sunday, February 15, at Infinity Music Hall, 32 Front Street, Hartford. Tickets: $59.00-$74.00. Information: infinityhall.com and 866-666-6306. 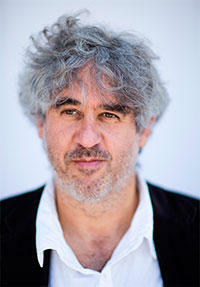 Improvisations, a live series celebrating free jazz, takes another bold step into the open-ended universe of the known knowns, the known unknowns and unknown unknowns, with its special guest, the adventurous saxophonist/composer Tim Berne leading the spontaneous flights starting at 7:00 pm on Thursday, February 12, at Hartford’s Real Art Ways. 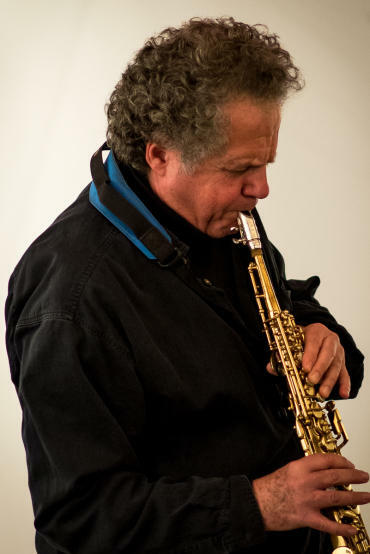 Berne, who was born in 1954, was heavily into R&B in his teens and didn’t buy his first alto saxophone until he was in college, evidently quite happy with two of his then favorite things, the world of Stax Records and Aretha Franklin. What set him on his lifetime commitment to daring experimentation with free jazz was his discovery of the innovative saxophonist Julius Hemphill’s 1972 album, Dogon A.D. Two years later, the Hemphill convert took the giant ritual step to New York City. There he studied with and even recorded with his idol, Hemphill (1938-1995), the celebrated founder of the World Saxophone Quartet. Berne celebrates spontaneous creativity with the series’ two performing curators, guitarist/bassist Joe Morris and cornetist Stephen Haynes. Morris and Haynes handpick their diverse guest list for these freewheeling demonstrations of how new ideas can be discovered in the moment-- a kind of spontaneous combustion, hopefully leading to illumination, maybe even fire. Intimacy is key to the chamber music setting at RAW. Seating is often in the three-quarter-round for the music, which is primarily acoustic and always cliché-loathing. Audience members, both neophyte listeners and longtime devotees of free jazz, are invited to have informal conversations about the music and its methodology with the guest artists. Since 2011 nearly three dozen guest performers -- a cross-section of the art form -- have participated in the series, many of them making their first appearance in Hartford. Besides presenting international figures and well-established American artists like Berne, the series keeps an eye out for worthy young, emerging, cutting-edge musicians, both regional and local, providing a rare and premier platform for their work. RAW has become the high-flying series’ royal roost. Tickets: $15.00, general; $12.00, RAW members; $5.00, students. Information: realartways.org and (860) 232-1006. Haynes and Morris, peripatetic avant-garde artists, travel to New Haven two days after the RAW date to perform at 8 pm on Saturday, February 14, in The Uncertainty Music Series at Never Ending Books, 810 State Street. Despite disconcerting seeming words like Uncertainty and Never Ending, fear no outbreak of existential angst at the Elm City venue. Fear and trembling and sickness unto deathly boredom will not reign at Never Ending Books as the dynamic Haynes and Morris team up with saxophonist Stephen Horenstein. User friendly, the creative music series, which is curated by the New Haven-based composer/bassist Carl Testa, invites patrons to bring friends, food and drinks. Launched in 2007, the series opens yet another new chapter on the second Saturday of each month at Never Ending Books. Suggested donation: $10.00. Sally Night, a sweet-toned, rising, young English vocalist, who’s been winning the hearts and minds of New Yorkers, puts everyone in a Valentine’s Day mood as she sings classic love songs at 8:30 pm on Saturday, February 14, at The Side Door Jazz Club in Old Lyme. With her romantic ballads glistening in shining amour, Night will be accompanied by such fellow jazz romanticists as the poetic pianist Cyrus Chestnut and bassist Buster Williams. Information: thesidedoorjazz.com and (860) 434-0886. 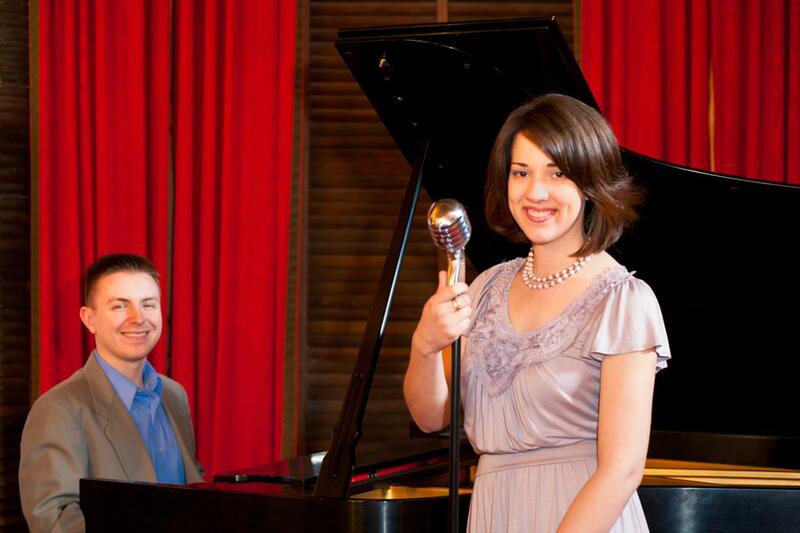 Billing their show as A Romantic Evening of Jazz, vocalist Atla DeChamplain and pianist Matt DeChamplain -- a young, Connecticut jazz power couple -- celebrate Valentine’s Day at 7:30 pm on Saturday, February 14, at Northwest Park, Windsor. Presenting a beautiful bouquet of evergreens plucked from The Great American Songbook, the musical and matrimonial partners will be assisted in their celebration of matters of the heart by violinist Jason Anick and bassist Matt Dwonszyk. Tickets: $17.00 at the door and at northwestpark.org. Magically transforming life into a box of chocolates, Grammy Award-winning trumpeter Chris Botti brings his mix of soulful sweetness and light to jazz and pop confections as he helps smooth jazz lovers celebrate Valentine’s Day at 8:00 pm on Saturday, February 14, at the Ridgefield Playhouse, Ridgefield. Admission: Information: ridgefieldplayhouse.org and (203) 438-5795. Please submit press releases on upcoming jazz events at least two weeks before the publication date to omac28@gmail.com. Comments left below are also most welcome.